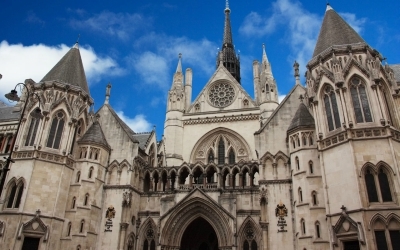 Judgement is expected soon at the High Court following a landmark appeal by Rosa Monckton to retain parents’ right to make important decisions about the welfare of their children with learning disabilities once they reach 18. Currently, under the Mental Capacity Act, parents must apply for deputyship through the Court of Protection in order to remain the decision maker for their children’s welfare, and Kisharon has supported many families in their application. However deputyship is only awarded in the most difficult cases. Without deputyship, important decisions can be made without parents’ involvement or consent. Campaigners for the appeal say that although their children have reached adulthood, they remain unable to make simple daily decisions. In some cases, it may not be in the best interests of a vulnerable adult to have a parent as a deputy, but where parents have a proven track record of acting in their child’s best interests, the position of deputy should be theirs. The Code of Practice used to interpret the Mental Capacity Act says a deputy will be appointed in the most difficult cases. But campaigners want the Court of Protection to assume that it is in the dependent person’s best interests to have a member of their close family as their deputy. A decision is expected within the next four weeks.